Governor Scott Walker’s 2018 State of the State Address: No Time for Moral Issues…Ever! On January 24th, Governor Scott Walker gave his State of the State (SOTS) address to the legislature (see https://walker.wi.gov/2018-wisconsin-state-state-address). Not one minute was allocated in the SOTS for any social issue. The governor had time to talk about everything else – how Wisconsin is “number one in cheese, cranberries and ginseng” and he had time to mention travelwisconsin.com twice – but social issues, the Moral Order? No time for that. Social conservatives and evangelicals, when you see your GOP assemblyman and state senator on the campaign trail at a June Dairy Days breakfast or at a townhall forum, ask if they are angry that Gov. Walker didn’t say one word about your issues during the SOTS address. The state property tax is ended. Bond ratings have been upgraded. Income taxes have been cut. We are among the top ten states for businesses. WI health care system is ranked number one in the nation. WI unemployment is at 3%. 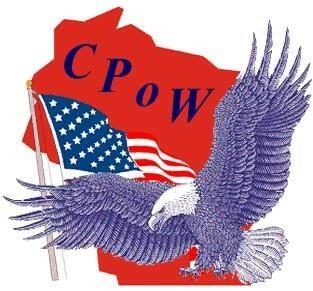 The Constitution Party of Wisconsin opposes all taxes on property or incomes by the way. Creating a Rural Economic Development Fund of $50 million dollars to “support the development of new businesses and the expansion of small businesses in rural areas”. Creation of a Health Care Stability Plan. The governor proposed a law which will guarantee coverage of pre-existing conditions. The governor kept using the word “investing” when talking about spending. Who is going to pay for all this investing? Is it now a function of state government to find work for people and get them off drugs? We “have” to pay the bills? He’s saying state government has the right and duty to compel one citizen to give part of his property to another citizen. We wouldn’t have to worry about people gaming the welfare system if there was no government-run welfare in the first place. Taxes should fund only needed, constitutionally-required services, pay state workers, and that’s it. We Constitutionalists know taking money from citizen to fund things above and beyond government obligations is theft. “Public assistance should be more like a trampoline and less like a hammock,” Walker said. Nice bumper sticker slogan, Governor. Now, I’m not saying most of the governor’s speech should have been on social issues, but not even 1% was, nothing on the Moral Order. There was no mention of any issues that Republicans tell social conservatives during an election year they care about: pro-life, traditional marriage, business owners being sued and forced to provide services against their beliefs, parental rights, transgenderism being imposed on schoolchildren by LGBTQ advocates (Do a web search of “Wisconsin school children transgender policies” to see many examples of indoctrination in schools). Near the end of the SOTS address, parents brought their children to stand behind the governor when he talked about the creation of a child tax credit in Wisconsin. Walker could have talked about passing a law which “will allow all parents in Wisconsin to opt their children out of any public-school class which teaches LGBTQ propaganda to their children”. The governor could have used this opportunity to say, “Every parent, like the ones behind me now, should have the right to teach their children their values and not have social engineering and political correctness imposed upon them.” This is what any Constitution Party governor would have said. But, no. That would upset Republican pro-aborts in the legislature whose votes the governor is courting for economic issues. Economic issues do matter, but so do social issues. Why, Republicans, will you not address both? The Constitution Party of Wisconsin does. Social conservative and evangelicals, you who enable Republicans with your votes and donations every two years while having none of your issues addressed by Governor Walker either during his 2018 State of the State address or during an election year, I must ask – What are you doing? What is wrong with you? Wash your hands of the GOP. Shane Solomon on The Pre-Born Can’t Wait!